† Scott  comments that some experts consider the 2d blue-green and variants to be a trial printing. Montserrat is one of the Leeward Islands in the West Indies. 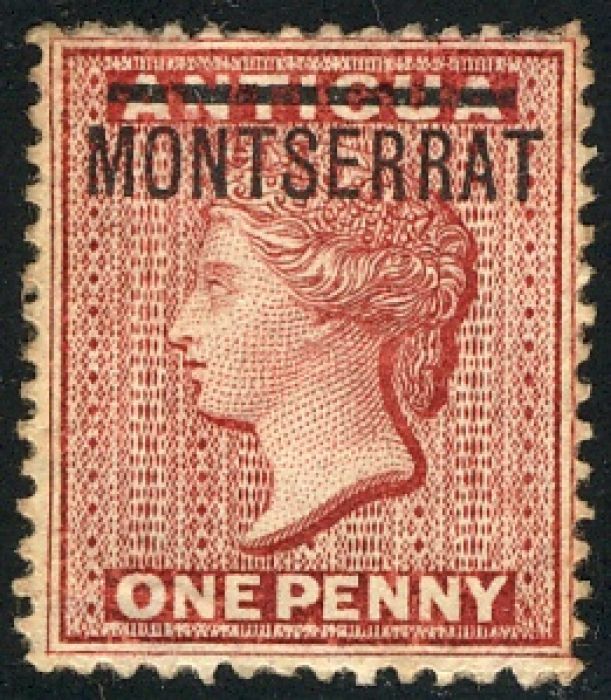 It had its own stamps (beginning with Antigua overprints) from 1876 to 1890, then used general Leeward Islands stamps until 1903 when it resumed its own issues and used both those and Leeward Islands' until 1956 when it became a colony in its own right. 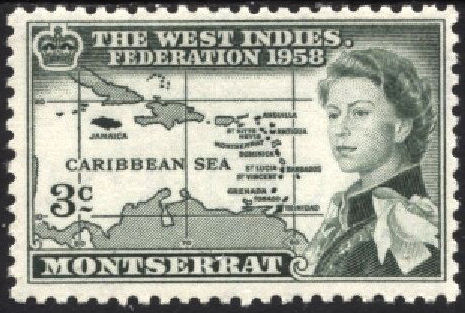 It does not seem to have issued a commemerative in 1956, but did participate in the West Indies Federation issue of 1958.